I found this copy of August & Everything After: Live at Town Hall at my local record store– Lunchbox Records in Charlotte, NC. The price tag was about $25 to $30, which is generally a bit more than I like to pay for most records. But this is one of my very favorite live albums from one of my very favorite live acts. The last time I saw Counting Crows perform was about six years. They always live up to their reputation as one of the most energetic and intimate live performers in music, playing songs from their extensive catalog of gems. And while now, it’s trendy for bands to do special concerts wherein they perform a notable album from start to finish. In 2007, I was really excited when I heard Counting Crows was playing their debut album, which was released 14 years prior, in order. The album was recorded in Town Hall in New York City. And like many of the band’s live performances, many of the songs include snippets from other tracks by Counting Crows or other bands. For example, “Round Here” includes lyrics of the songs “Raining in Baltimore” and Sordid Humor song “Private Archipelago.” Each song showcases the band’s peerless ability to update their songs many years later with more dynamic instrumentals and altered lyrics. 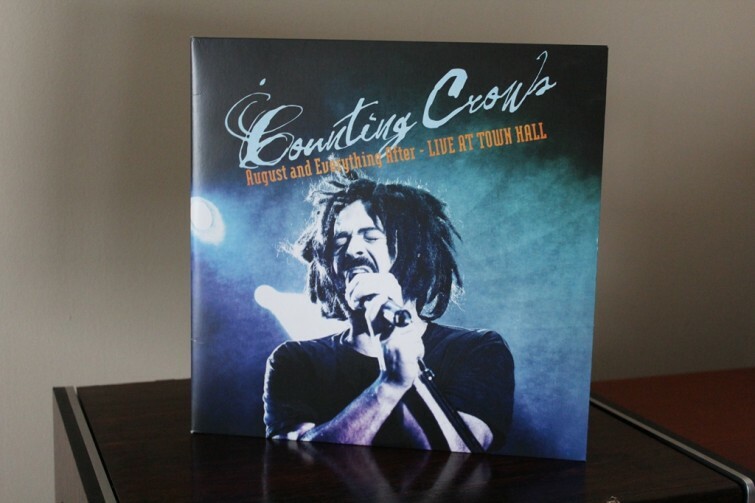 In 2011, August and Everything After: Live in Town Hall was released Blu-ray and DVD, which features an interview with lead singer Adam Duritz and multi-instrumentalist Charlie Gillingham. I highly recommend the record to any Counting Crows fan.